Campers will explore biology, earth science, physics and chemistry. Each day campers will have fun in small groups. Highlights of the week include building and erupting their own volcanoes and assembling a solar powered car to race against other campers. 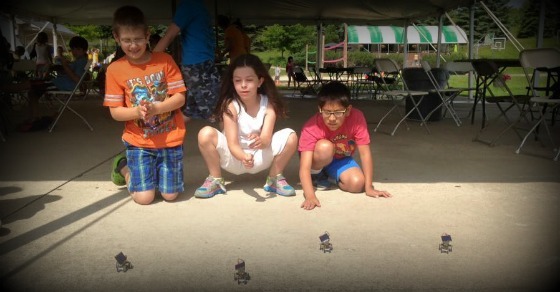 These cars will take several hours to construct, and of course campers will get to take them home. In addition, there will be several other experiments conducted throughout the week. Projects may include: making different types of slime, paper airplane construction and distance competitions, egg drop contests, balsa wood bridge construction (weight bearing contest) and others.